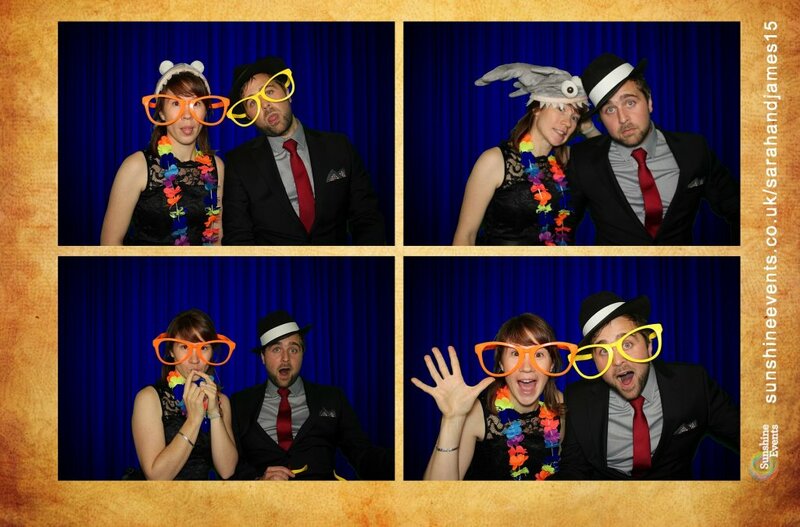 Green Screen Dream Machine Photo Booth - Available to Hire Now! 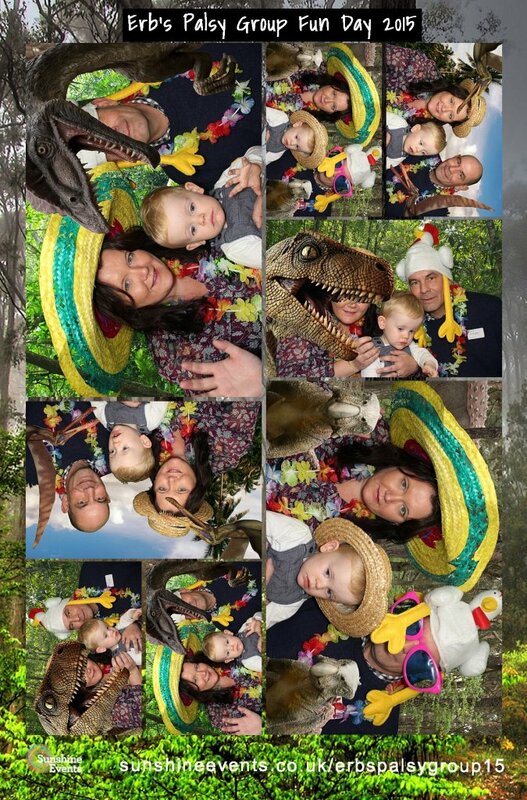 What is says on the tin sums up the new Photo Booth upgrade quite well; the Green Screen Dream Machine has taken the Photo Booth experience to heightened levels of fun! 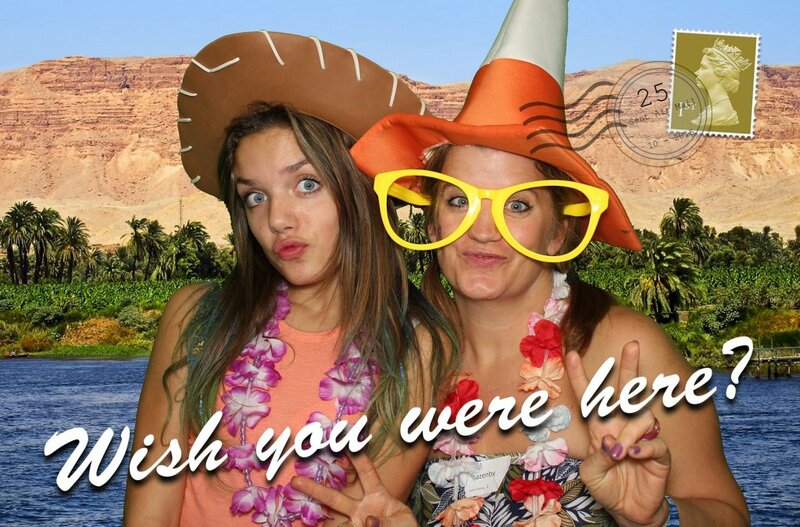 Not only will you and your guests have a fantastic time as you dress up in the selection of props and strike a pose, but you now have more choice than ever before when making the memory that you get to take away with you on your photo print out! 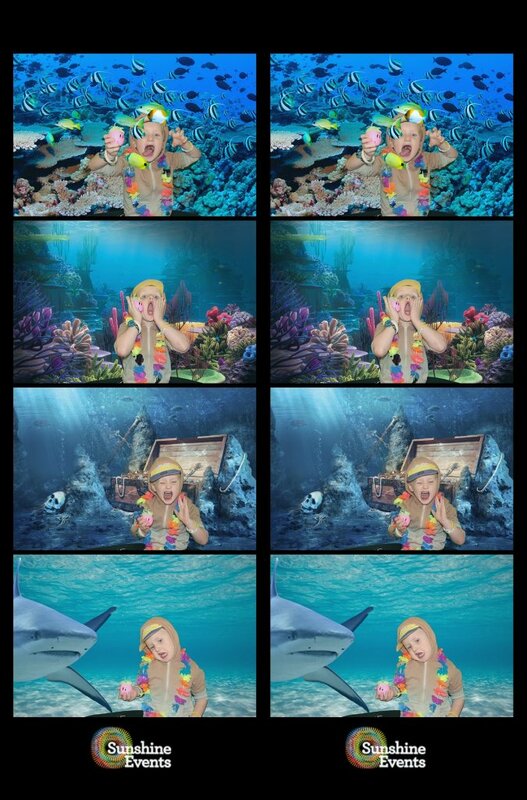 The Photo Booth Green Screen Dream Machine has taken what made our original photo booth fun and multiplied it by x1000 ... why 1000? 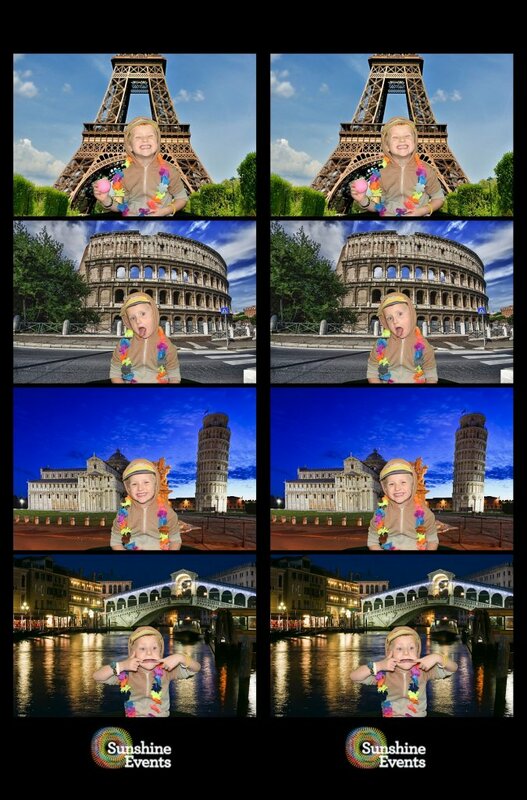 Well, that's because of the number of fun photos that are stored in the dream machine for you to pose against using the green screen technology the photo booth incorporates. Taking what made our original booth so fantastic and doubling the options, you can choose from ten different themed backgrounds to strike your pose against; Las Vegas, Glitzy, Big Top Circus, On Safari, I Love 50's, Paradise Island, I Love The 70's, Sporting Venues, Enchanted Forest, and Vintage Wallpaper. 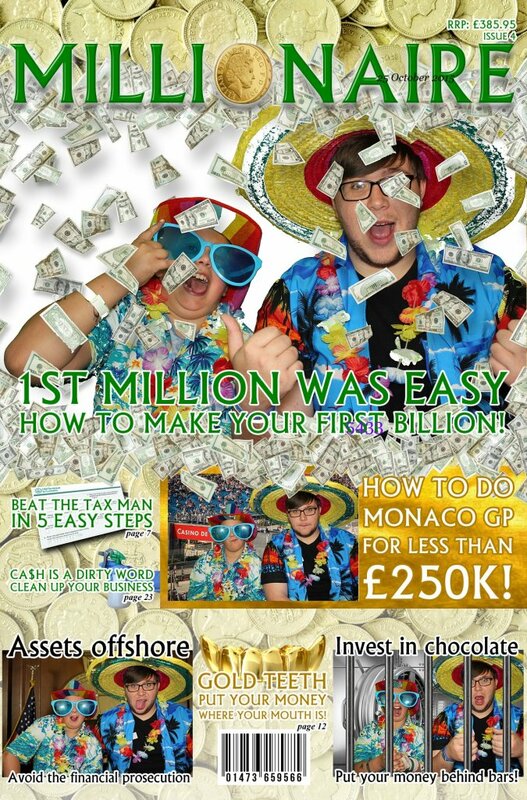 Become the front cover star of your very own magazine! 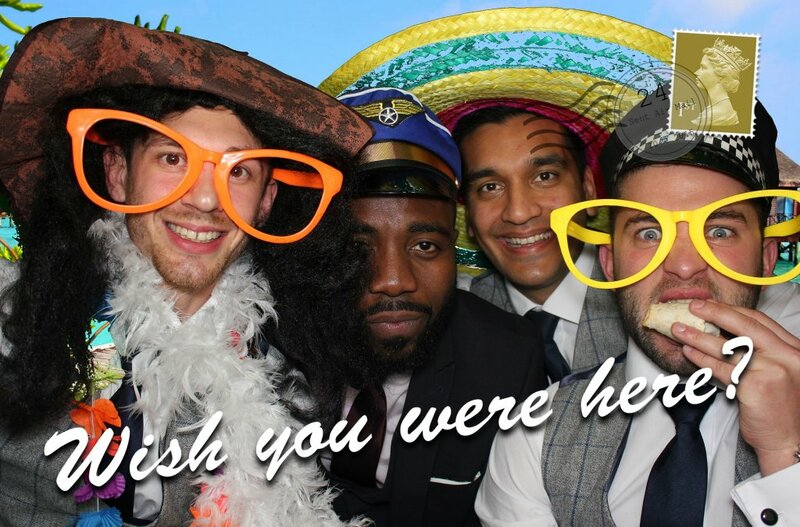 You and friends strike the perfect pose for four photos to appear on the front of either VIP magazine, Wedding, Lads, Pop Hits!, 'The Booth', Top Steer or Millionaire. 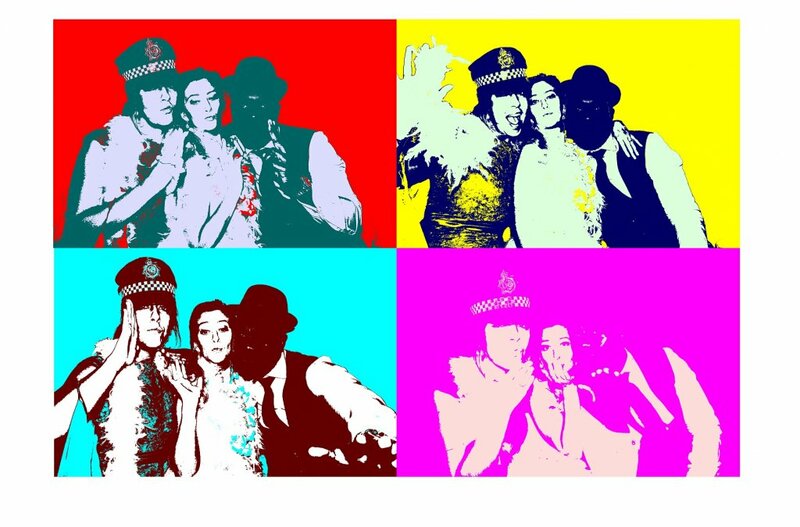 Its time to get a little 'arty' in the booth as Andy Warhol inspires the prints of your four photos! 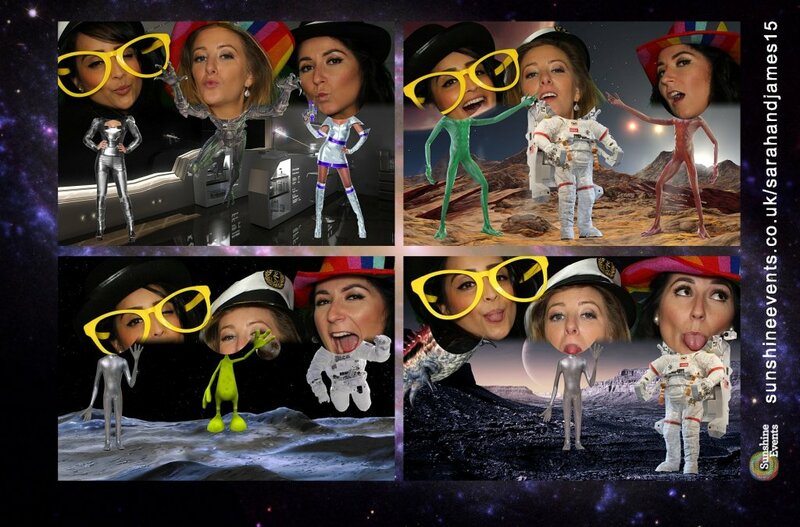 Step inside the photo as each theme in the 3D selection immerses you in to the image. Become a part of the 'Dinosaur Park' or swim with the fishes 'Underwater'. 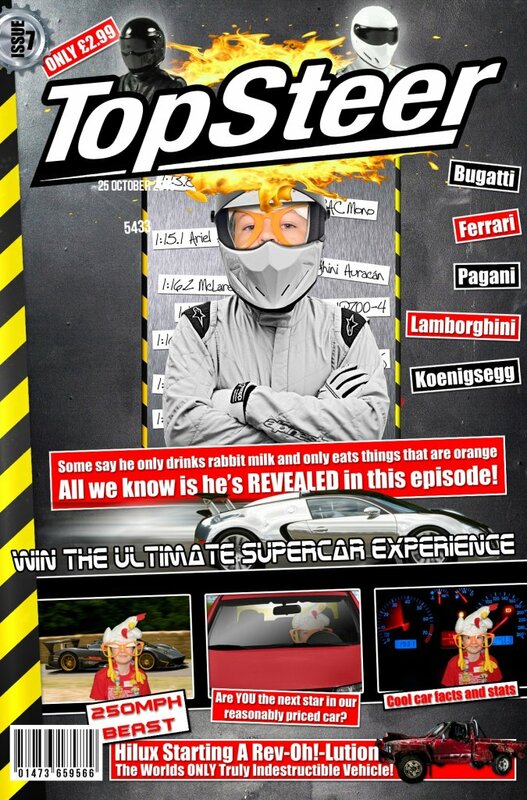 There's also Abstract, Hollywood, Four Seasons, I Love the 60's, Racing Cars, In The Jungle, I Love The 80's and our own personal favourite; Retro Computer Games! Prepare to strike a pose not once or twice but four times after selecting your colour of curtain for your background. The choices are Red, Black, Blue, Purple, Pink, White and Green. Wherever the destination, we're sure your friends will! 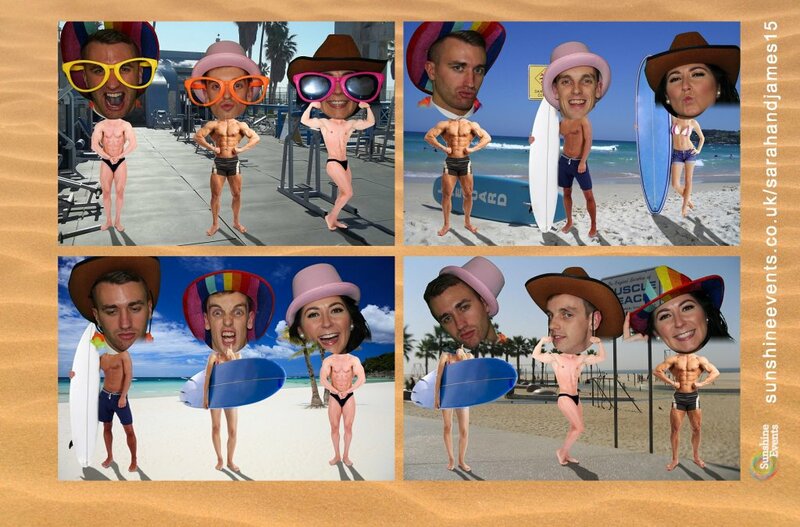 Strike one pose for the camera and watch as your own personalised Wish You Were Here postcard prints immediately! Ever wondered what it would be like to step back in time and see a world you only ever read about in the history books. Step in the booth and travel back to Ancient Egypt (37BC), The Roman Empire (301AD), Medieval (1189AD), The Golden Age of Piracy (1694AD), The Wild West (1885AD), The Prohibition (1928AD) or join the front in World War 2. 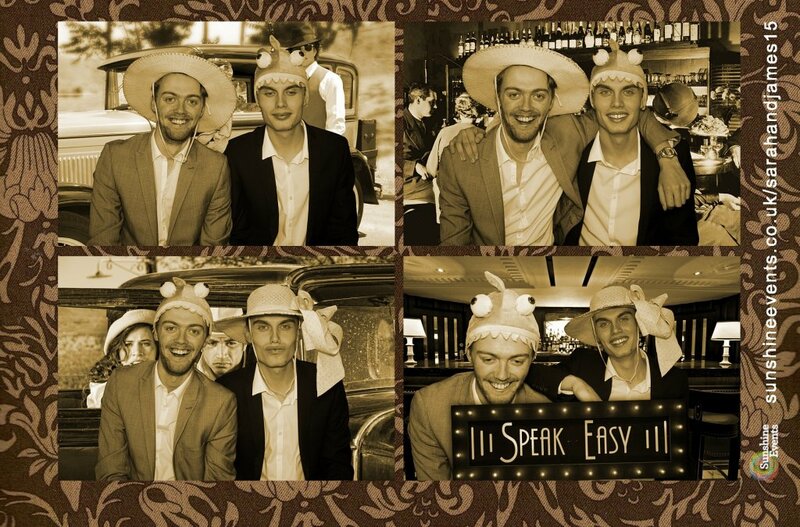 You've no doubt hired the photo booth for a celebration, whether it be a birthday party or a special corporate event! Now we have an entire selection of 'Celebration' themes including Birthday, Congratulations, Valentines Day, Easter, Halloween, Guy Fawkes and Christmas! Haven't packed your suitcase yet? Never mind, we can send you around the world in minutes and you can have the photo(s) to prove it as you visit famous landmarks in Europe, North America, South America, Australia, Asia, Africa or even the Antarctica! Well do ya? 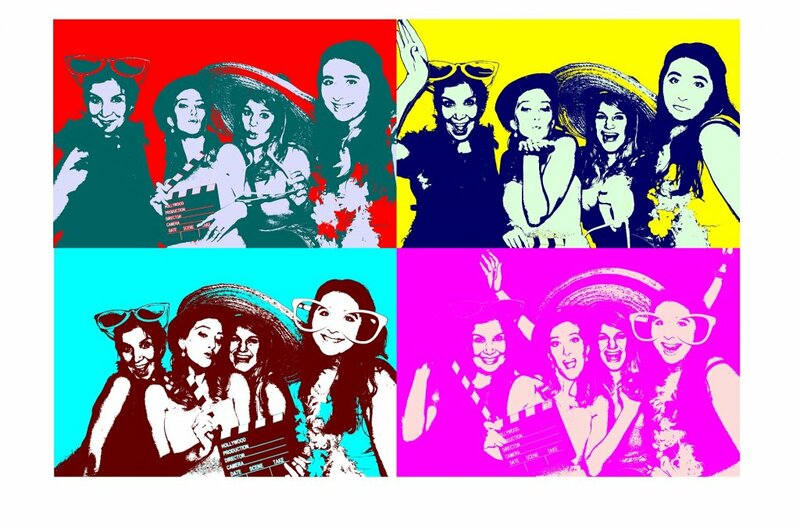 Let the photo booth decide what appears on the green screen background as it takes four photos of you and your friends in the booth! Where or what will appear, why not find out! That kind of says it all! Up to three people can enter the booth for this selection where your head is appears on the body of perhaps a Superhero or and MI Agent. You could even head to Muscle Beach or Out Of This World. And then there is the comical Babies option along with On The Job and Sports! 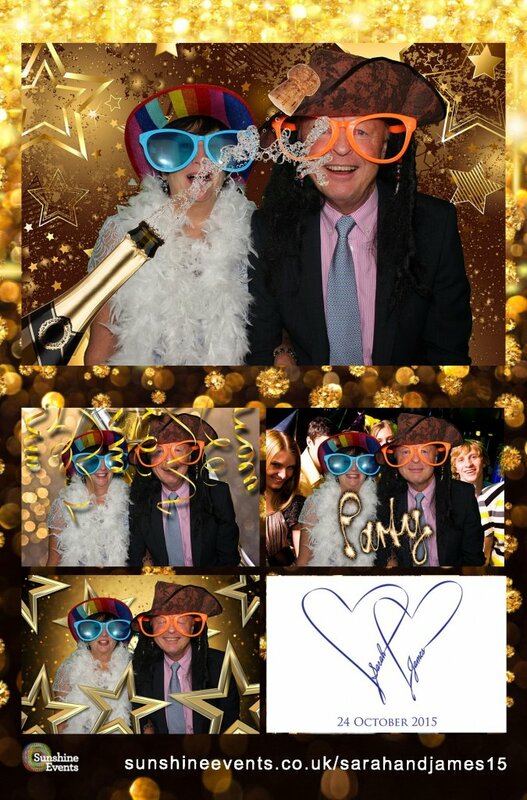 Not only do you have those fantastic, fun and funky options when you step in to the Photo Booth at your event, but you also get to choose what style of print out you would like! 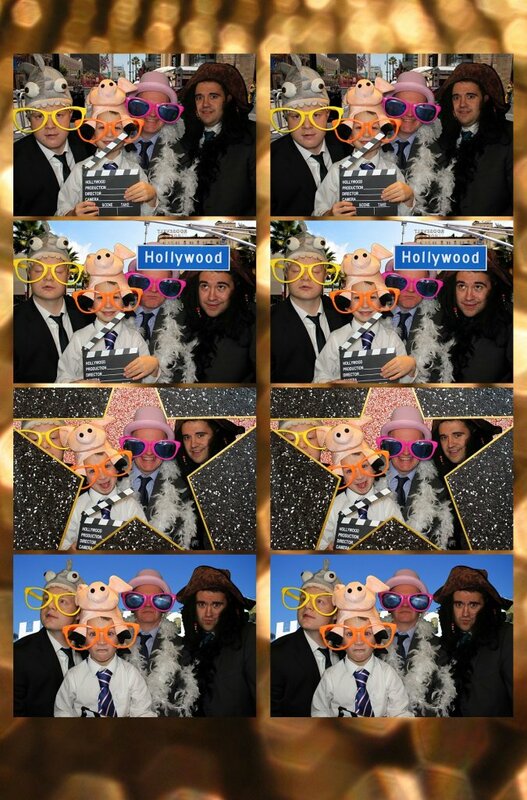 You can choose from the fan favourite 'Photo Booth Strip' option, big enough to fit in your wallet or purse as the photo booth prints and cuts the images in to the classic strip like style. 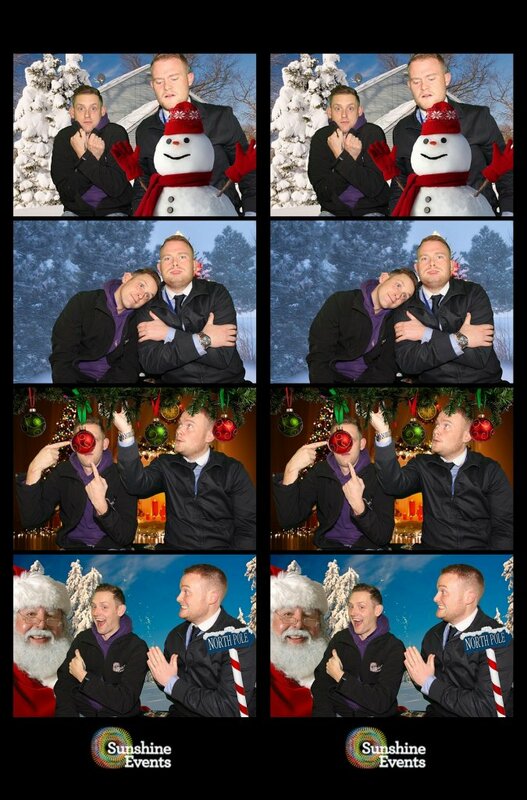 There's the original 2 x 2 option where four photos appear in the same size on the print. Along with this there is the '4 + 1' option in which one image appears large, with four smaller images below it. Then finally there is the 'Twisted Mosaic', a funky layout design to show off your photos to friends and family! And there is still a little more to offer as you can choose whether your photos are printed in Colour, Black & White or even 'Vintage'. 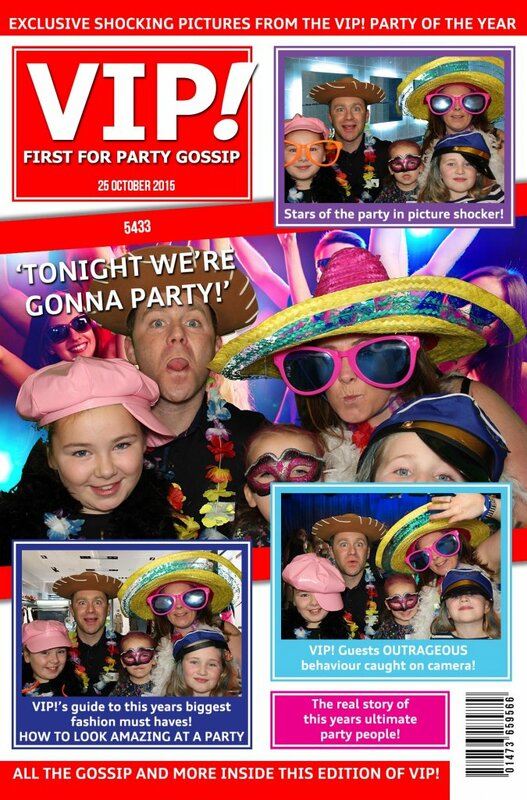 The Fun Experts are in awe of what our new Photo Booth can offer you in experience and fun at your event! 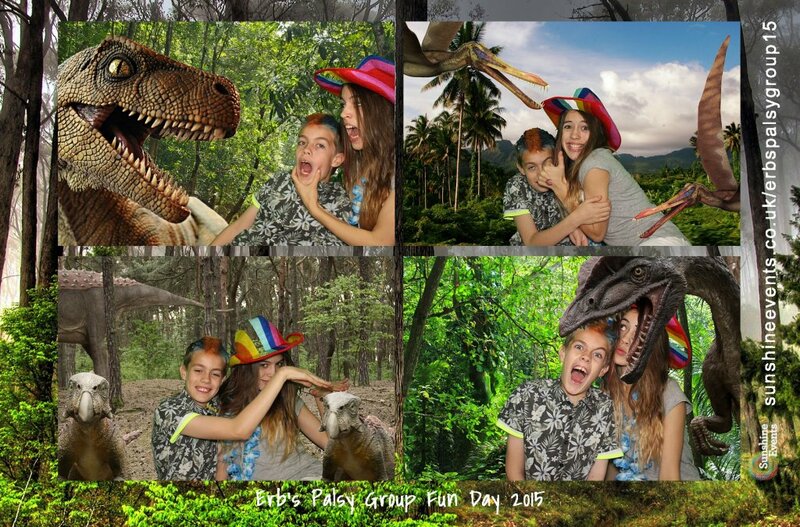 Whether it be a corporate event, family fun day or a simple birthday or wedding celebration, our booths (that's right, we've more than one!) 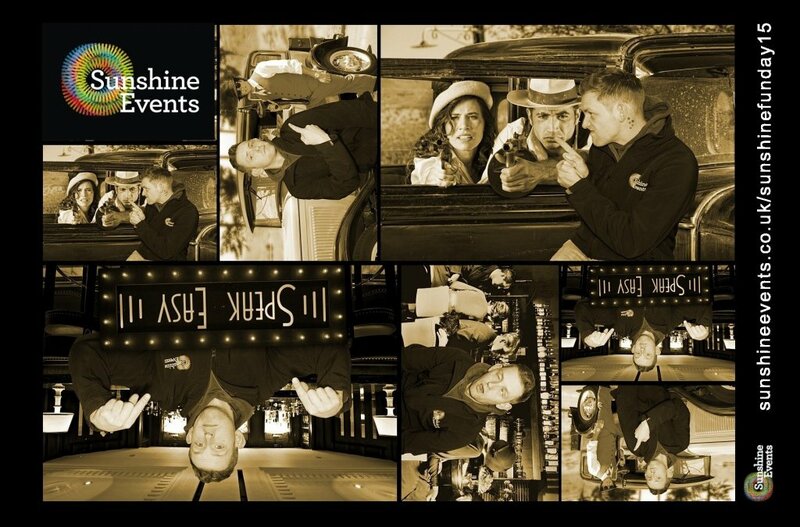 can offer more than just a lasting memory for your event that you can share with friends, family and colleagues. Unlimited prints on the night! 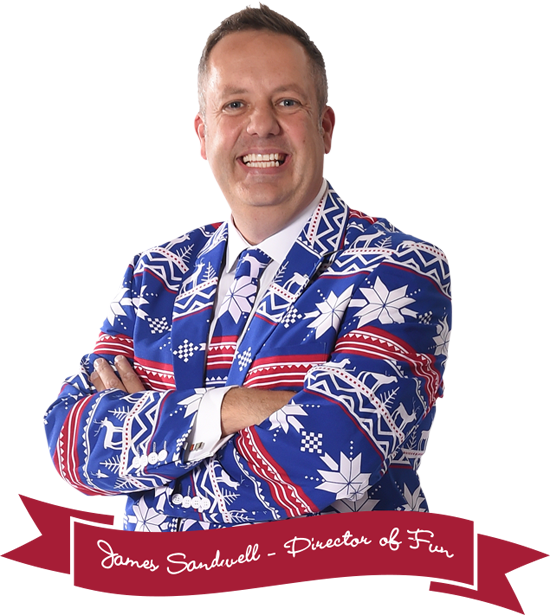 A secure, personal website gallery for you to share images via Facebook, Twitter and Email. 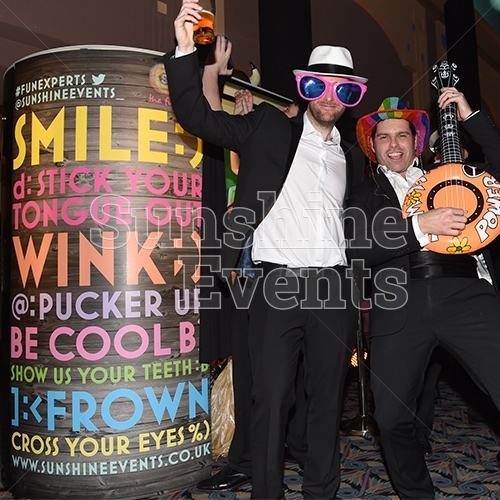 Exceptional props stand beaming with groovy hats, funky glasses and more! 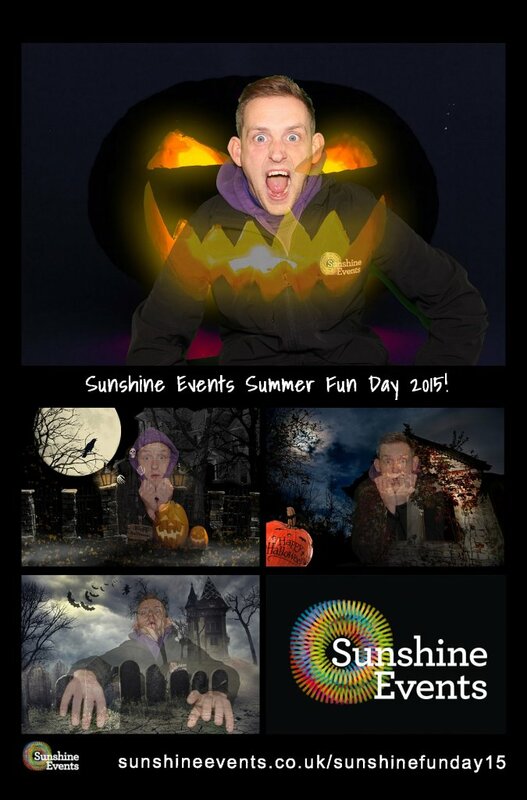 And of course a fully trained 'Fun Expert' to assist you and your guests on the night! 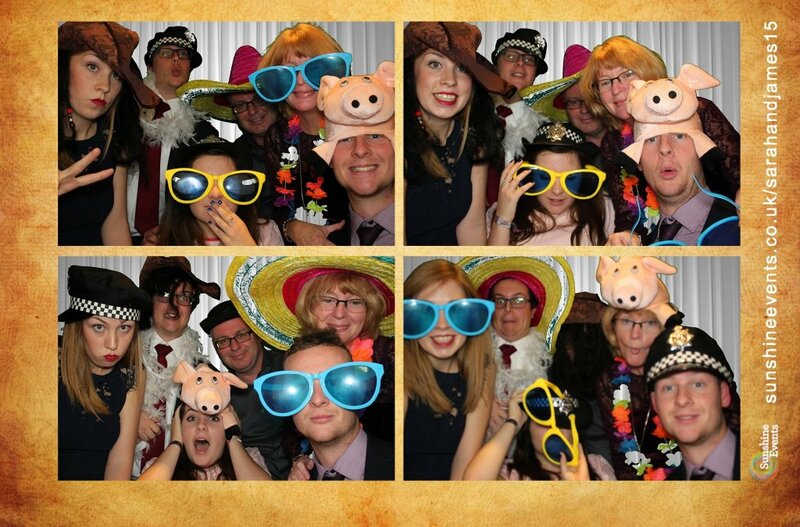 If you would like any more information on the Photo Booth you wish to hire then don't hesitate to ask our team ... providing you can get them out of the photo booth themselves! Have fun folks and don't forget to smile!